Wegmans Nature's Market Magazine Archives | Happy Deal - Happy Day! I know that I’ve brought up on here about how convenient it is to make freezer meals so that you don’t have to prep meals every night during the week. You want to know what I like even more than that? Food items that are made for me that I can keep in the freezer until I’m ready to eat them. I’m not a fan of spending a lot of time in the kitchen. I only cook easy meals and I try my hardest to keep them healthy. But I’m not ashamed to admit that if I can find something healthy in the freezer section at Wegmans, I’d much rather throw that item in the cart and eat that, rather than having to prep it myself. One of those prepared items that is a family favorite around here are Red’s Burritos! Our Sunday lunch in fact consisted of Red’s burritos. I had a bean and cheese one, and my husband had a steak & cheese one. I love it that when we got home from church, we could just each get a burrito, cook it in the microwave in under 2 minutes, and BAM – lunch is served! And it’s a healthy lunch – made out of fresh and real ingredients! Not to mention that it actually tastes good! I had a side of mango salsa to dip it in. My husband covered his in hot sauce. He kept saying, “man, this is a good burrito!” He regularly takes these to work as well for his lunches. It’s cheaper and healthier than hitting up the drive-thru during the lunch hour! You all know that Wegmans is my favorite grocery store to shop at and I’m happy that you can find Red’s Burritos in the Nature’s Market freezer section. (Note that not all Wegmans stores carry this brand.) If you have tried them, I’d LOVE for you to leave a comment on how you like them and your favorite flavor! Red’s offers a variety of frozen Mexican products and their lineup includes vegan, organic and gluten-free options. You can read more about their frozen Mexican products over at Redsallnatural.com. Want to know another cool fact about Red’s? They sponsored a $50 Wegmans Gift Card Giveaway for one of my lucky readers!!!! 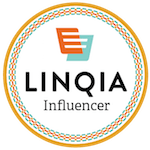 Entering the $50 Wegmans gift card giveaway is simple – just click on the Rafflecopter form below and follow the steps on how to earn points! Giveaway ends 2/6/17 and winner will be announced on 2/7/17! 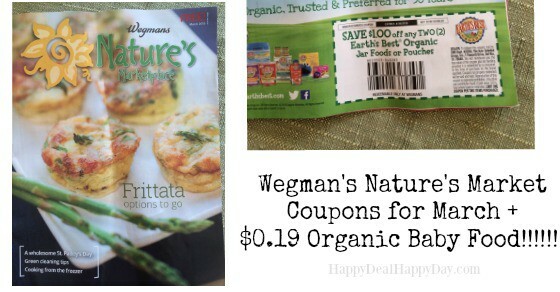 Wegmans Nature’s Market Magazine Coupons for March + $0.19 Organic Baby Food Jars!